Natalie Stoianoff, BSc. LLB. MAppSc (Biotech) (UNSW) FTIA, is currently Associate Professor and Sub-Dean of the Faculty of Law, University of Wollongong. Co-author of a leading text on Intellectual Property Law in Australia, Natalie¿s research explores the fields of traditional knowledge and biodiversity, bioethics and taxation policy. 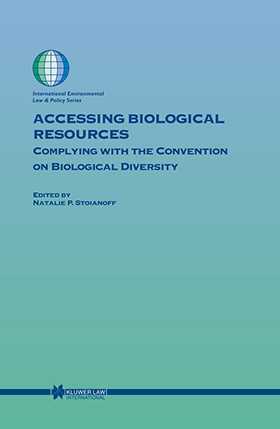 This is a multidisciplinary volume comprising contributions from lawyers, scientists and policy makers on the globally significant issue of accessing biological, and ultimately genetic, resources for commercial and scientific purposes. This volume deals with a number of international instruments but emphasizes the Convention on Biological Diversity and considers the International Treaty on Plant Genetic Resources for Food and Agriculture, the WTO Agreement on Trade-Related Aspects of Intellectual Property Rights, the rights of Indigenous Peoples, as well as issues in bioprospecting, scientific and commercial development. Consideration of the issues is raised at national, regional and international levels but here the focus is primarily the unique Australian experience, thereby reflecting the larger international debates between the developed nations and the megadiverse developing nations.